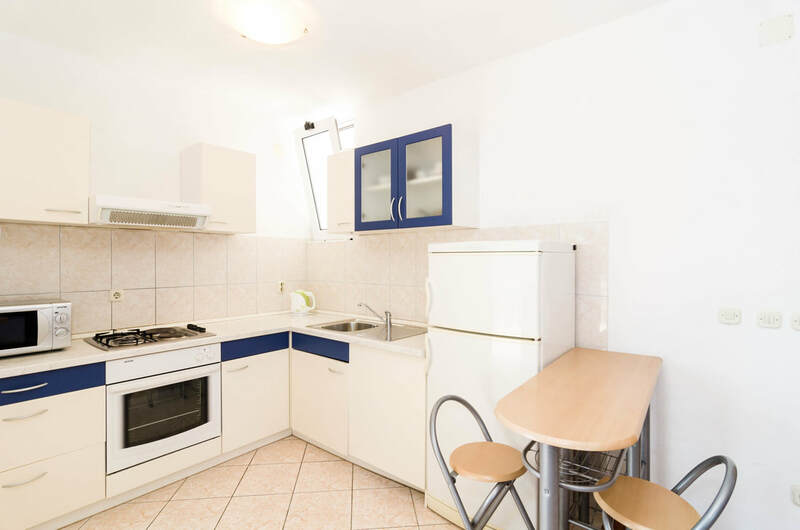 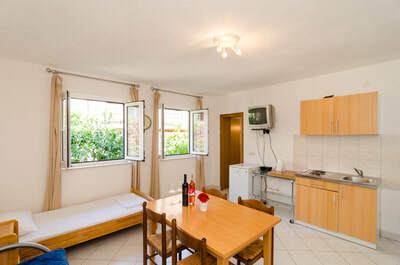 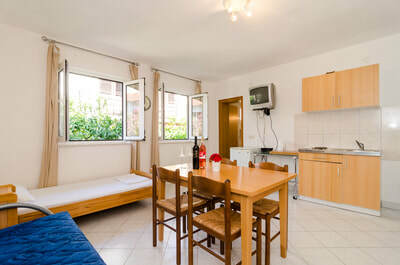 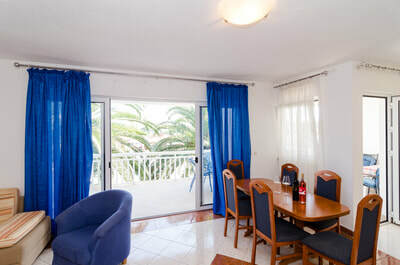 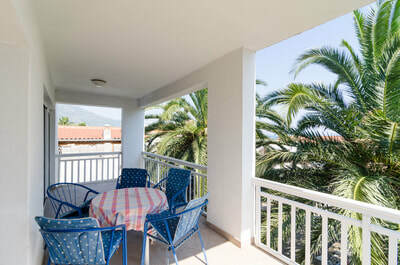 The kitchen is fully equipped and has the access to the big terrace. Our guests have free access to Wi-Fi, air conditioning and parking. 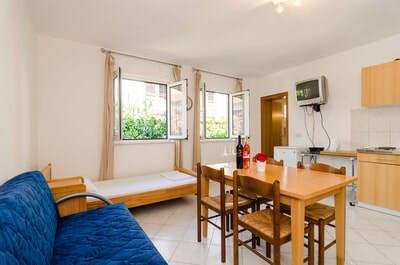 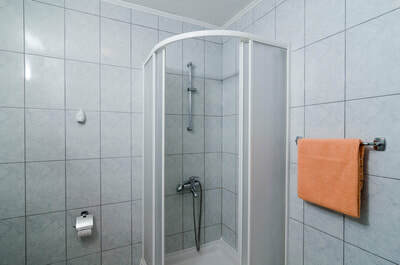 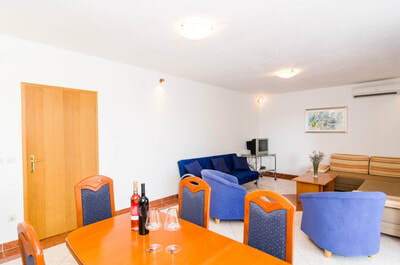 ​This 55m2 suite, comfortably fits 4 people (2+2). 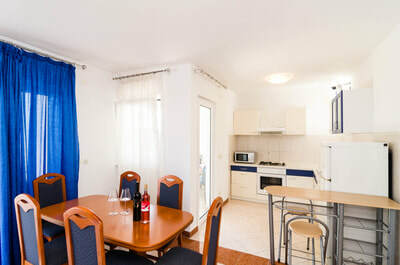 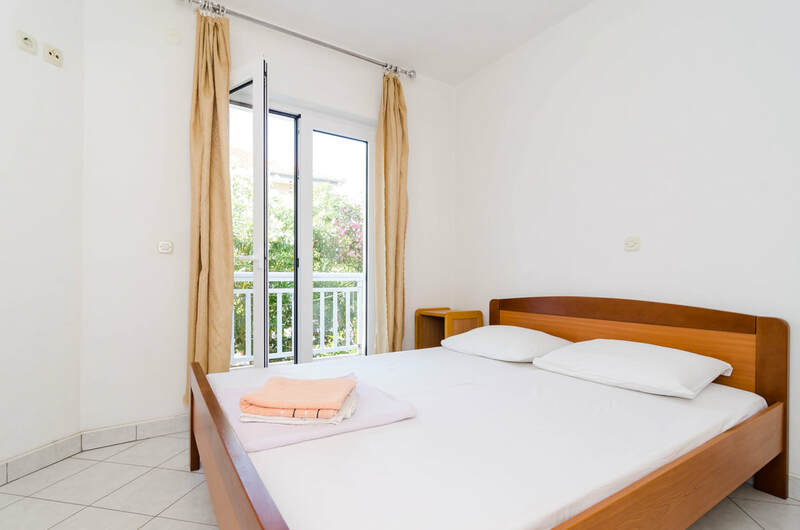 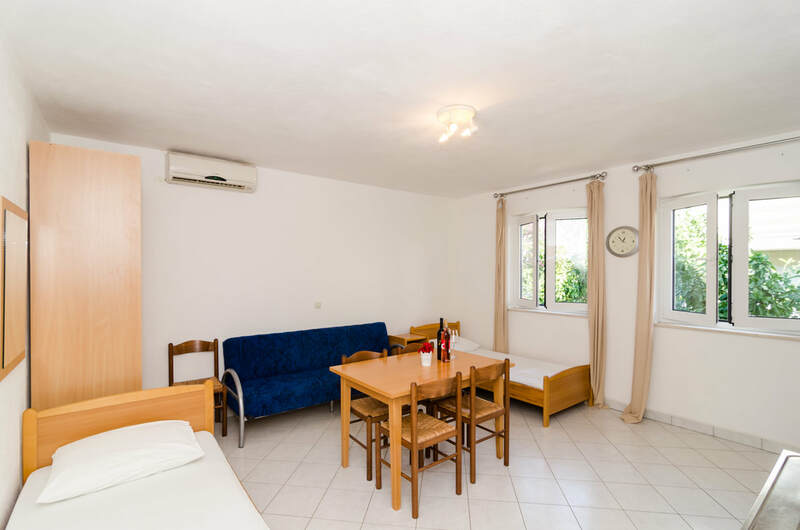 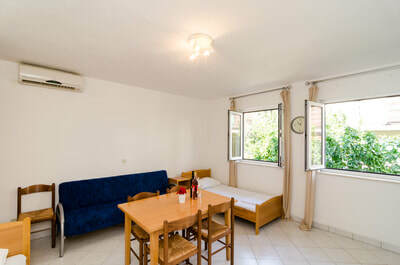 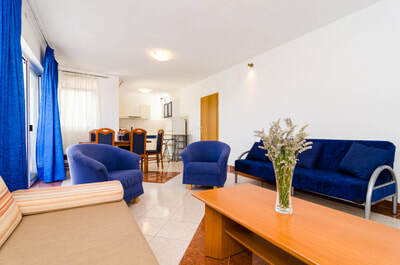 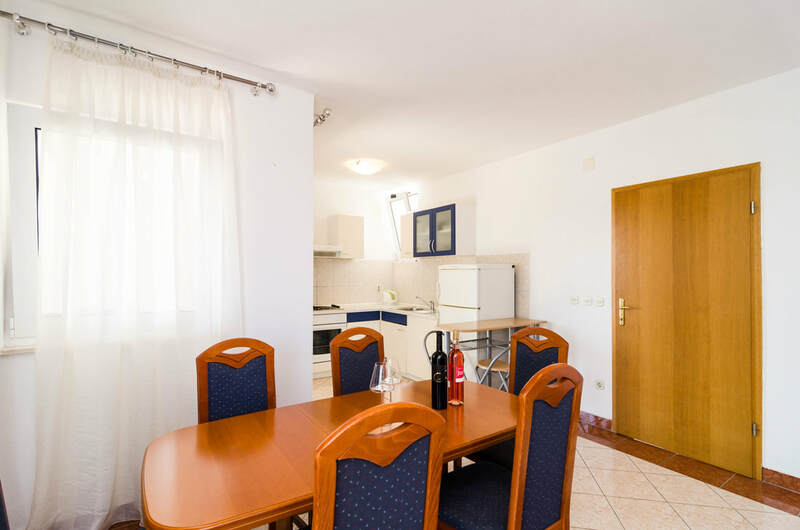 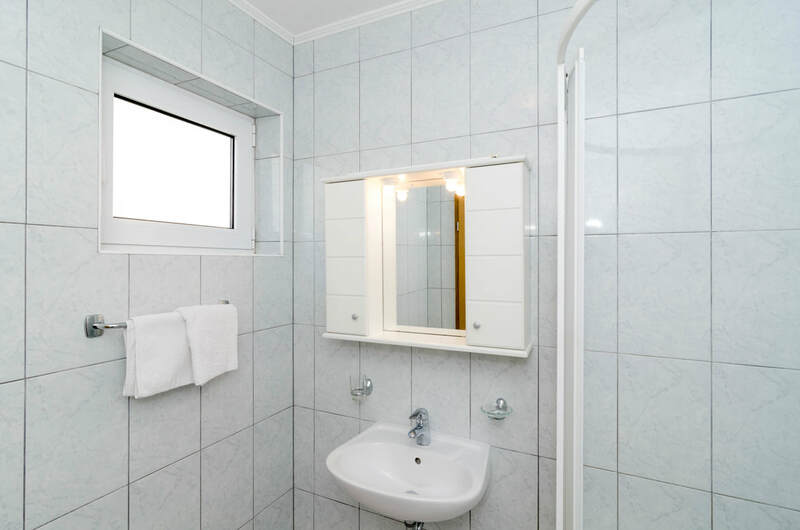 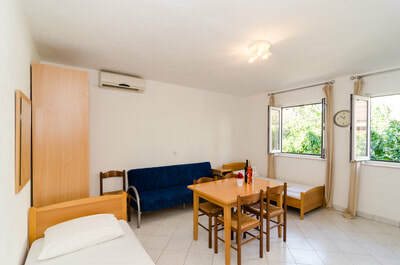 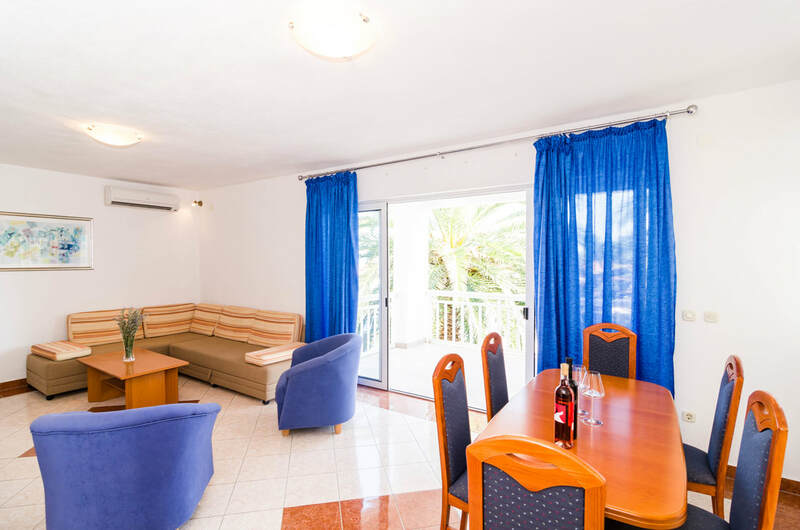 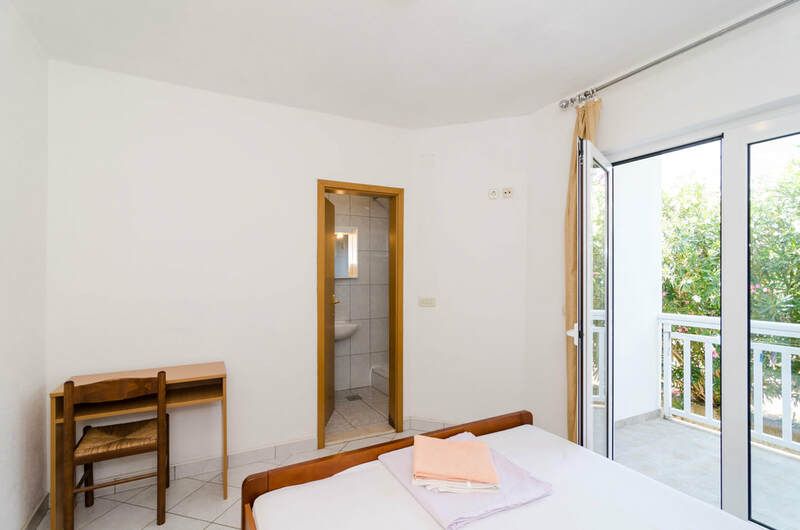 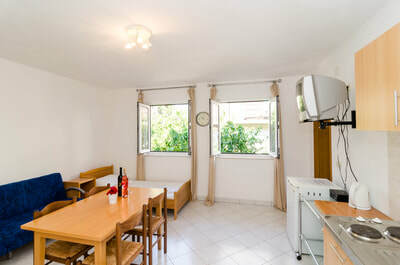 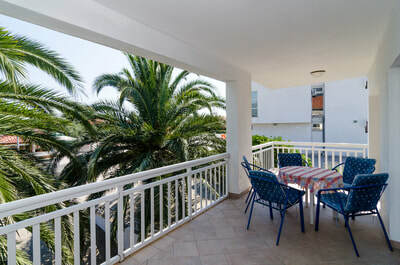 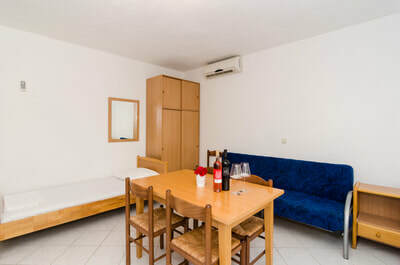 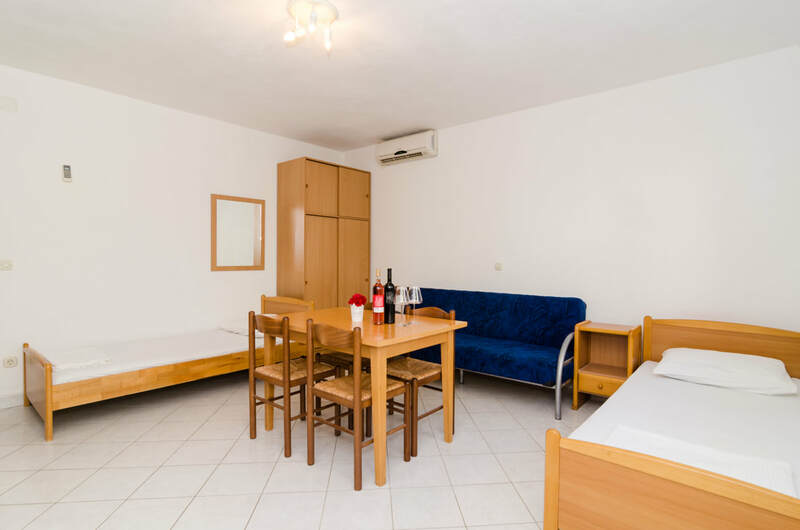 It is conveniently located next to the supermarket, bakery, fruit shop and coffee bar, only 3 minutes away from the beautiful beach with the natural pine-tree shade. 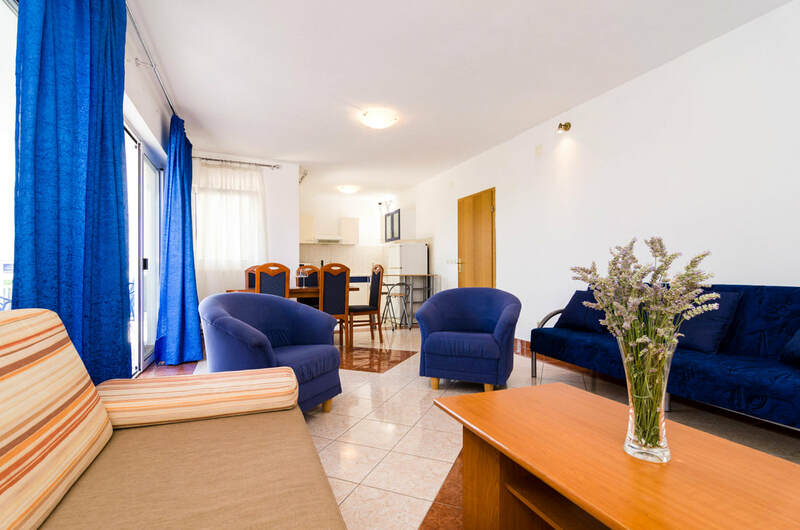 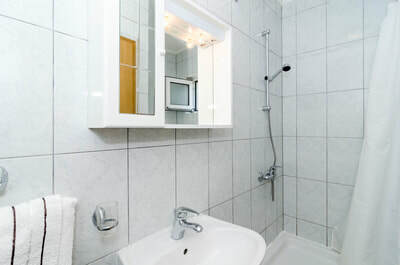 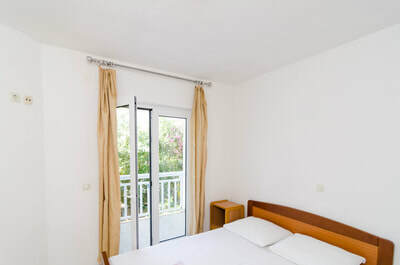 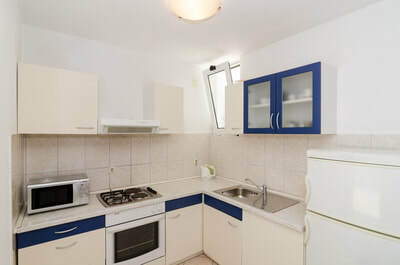 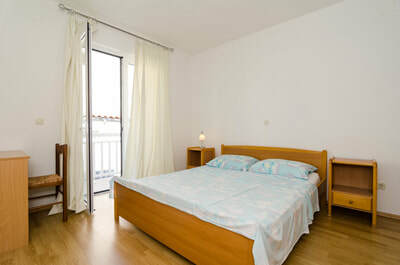 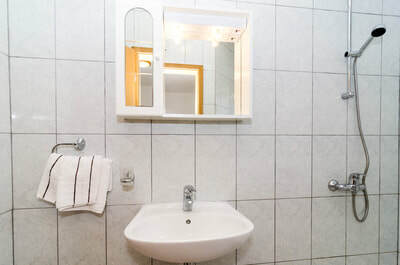 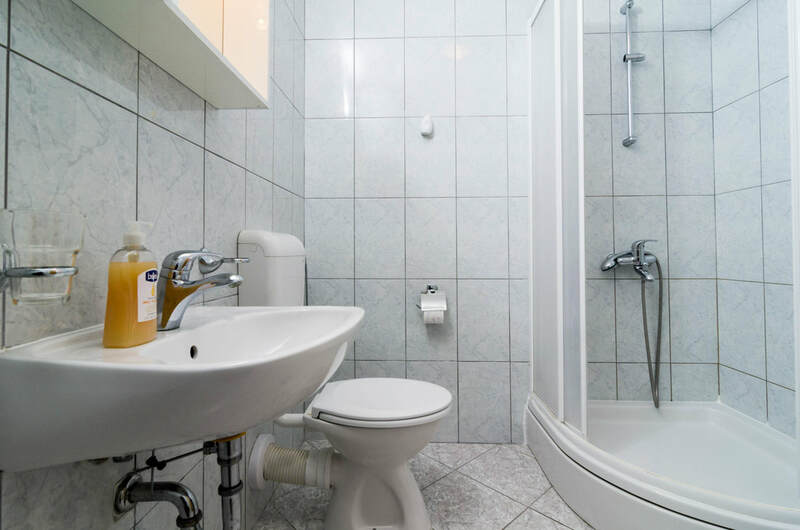 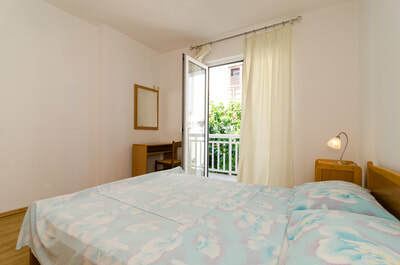 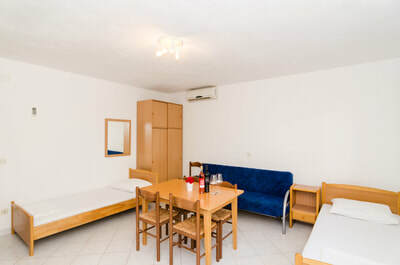 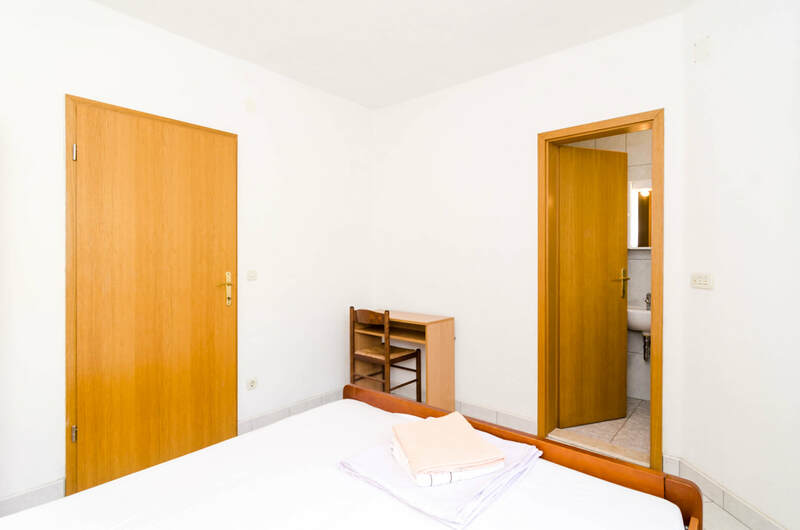 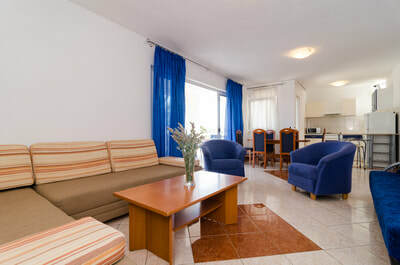 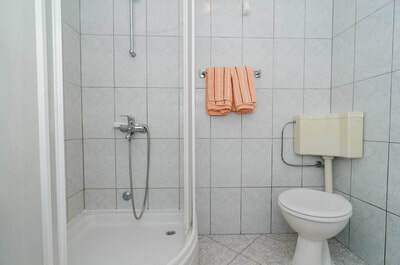 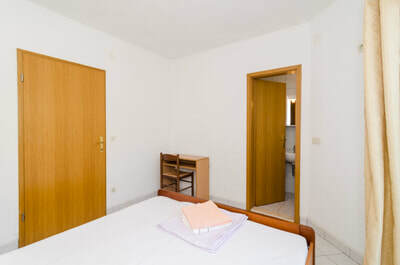 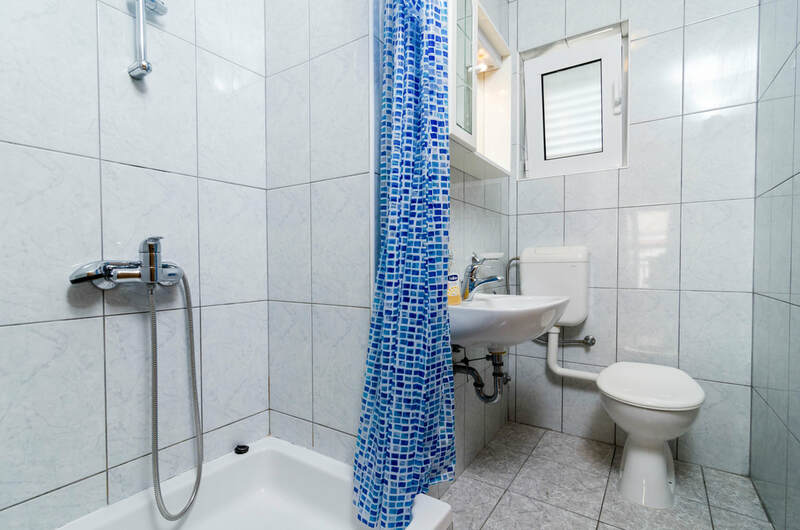 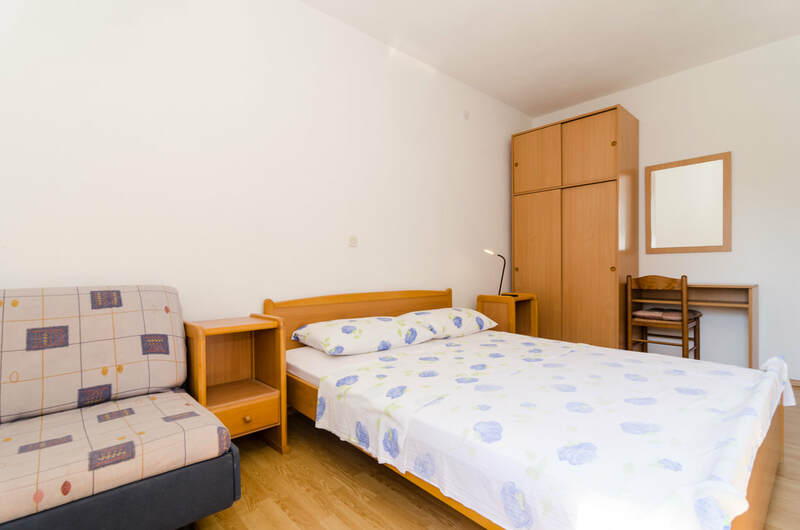 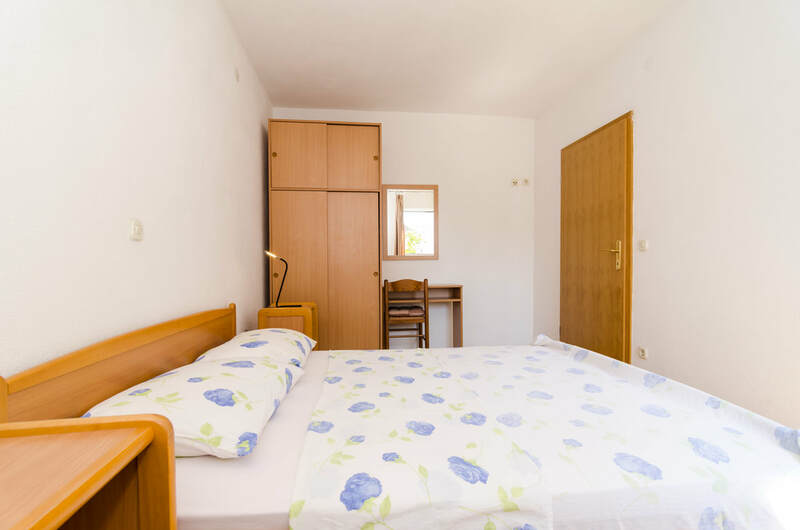 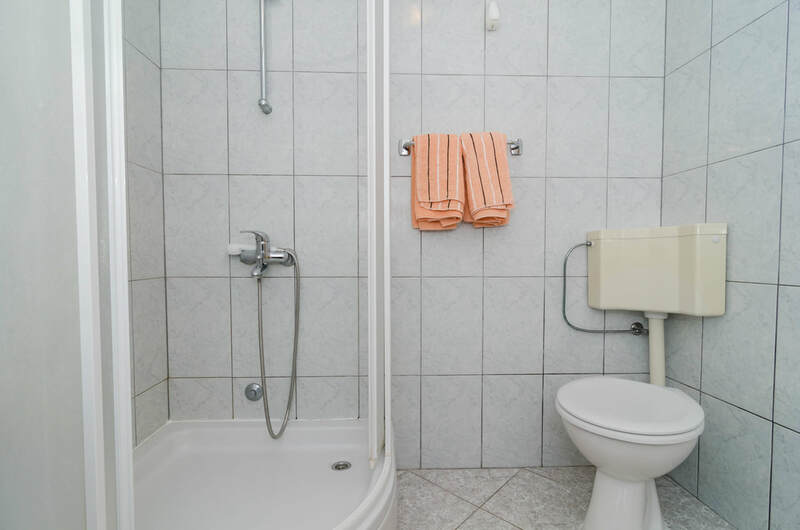 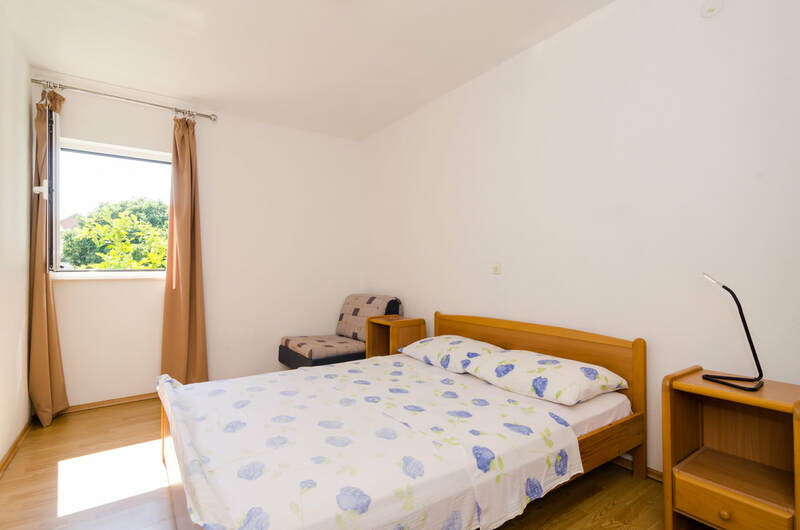 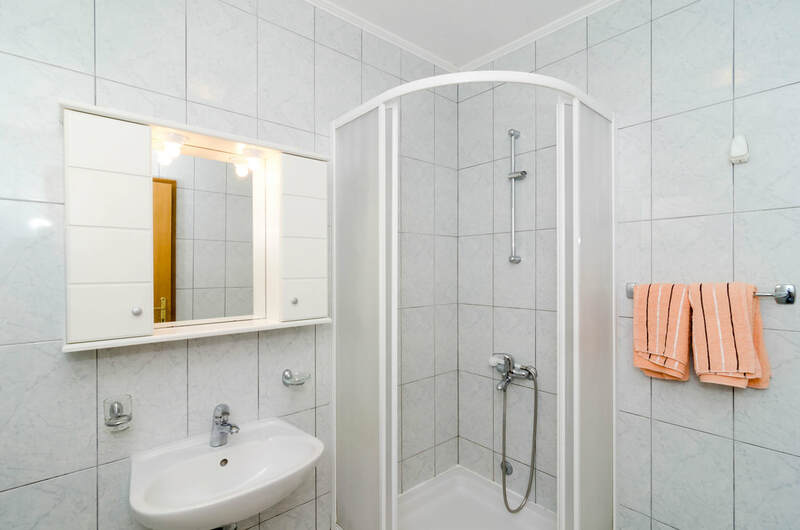 It has one bedroom, one living room with a sofa and 2 separate beds and kitchenette in the same space (studio), 2 bathrooms, one balcony with garden view. 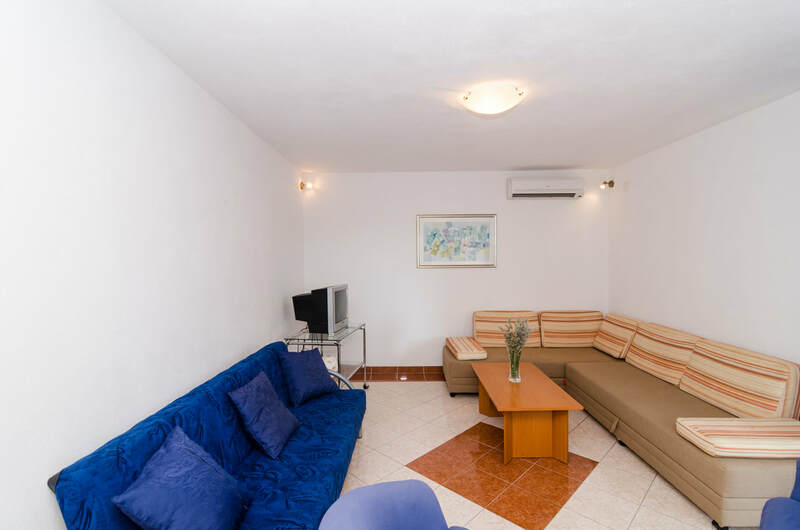 This suite has everything for a perfectly comfortable family vacation.